COMMENTS: Love these containers for our cream facial soap, perfect size and looks great on a vanity. COMMENTS: Nice and sturdy jar. 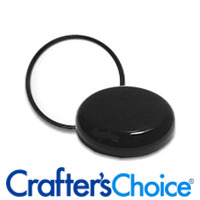 It is the perfect size for facial products or samples. COMMENTS: Perfect for a facial scrub. Love it! COMMENTS: I got these jars for my whipped body butters, this size is perfect for your desk or purse. I love the double walls as it gets warm here in New Mexico and the butters tend melt quick. Definitely buying again, and in various sizes. • Black color makes my product color pop! COMMENTS: This jar is perfect for my samples and travel size sunscreen. Perfect little jar for all my samples! Will definitely recommend to my friends and family. "Love the double wall jars!" COMMENTS: I'm really looking forward to using these 2oz jars for my high end face creams, I regularly use the 4oz for other products and they're great. The double wall jars are maybe my favorite container, will definitely purchase again. 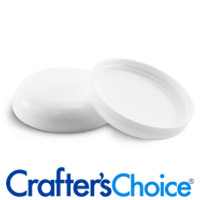 COMMENTS: These were perfect for my body butters, great quality product! 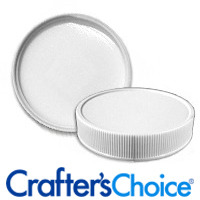 COMMENTS: I really like this size jars to offer my product to my clients for traveling! "If you have a small business, or any business"
COMMENTS: I love this jar and the ones similar to it. They are extremely helpful if you are one of those people who don't se preservatives. It's doubled walled so sunlight, temperature and other things can't penetrate as easily! I will continue to do business with WSSP. Great product! 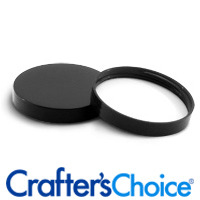 "2 oz Black Double Wall Plastic Jar - 58/400"
COMMENTS: Love the high end look of this 2oz Black Jar! I use this jar for lotions with essential oils in, works really great! Will always have this in stock! Thank you WSP for another great product! COMMENTS: Excellent for my salves & creams. A great price & jar is nice quality. COMMENTS: I use these for body butters and they hold up well and keep light out. "Great tub for salves and lotions"
COMMENTS: I use these tubs primarily for salves and softer lotions. 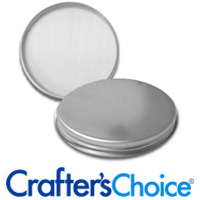 They fill easy, clean up well, and if you get the suggested lid, they seal tightly and don't leak. The black color makes my product look really sleek. I'm really happy with the jars and intend to keep using them for filling my product. Note: If you plan on reusing the jar, don't run it through the dishwasher- I did and it melted. No damage to my washer, but it ruined the jar. Washing with soap and water or wiping clean with a paper towel has worked just great. COMMENTS: I love these jars because they are strong and very well made. The black color makes my product look so professional. Almost indestructible as well. 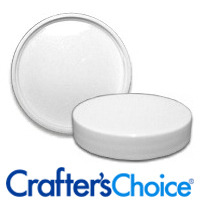 I use these jars for my Eczema cream. My customers love it. COMMENTS: These worked perfectly for small whipped body butters for gift baskets. The sleek and clean black looked really nice with my labels. COMMENTS: I use this jar for my body butters and scrubs and I haven't had any problems with leakage. 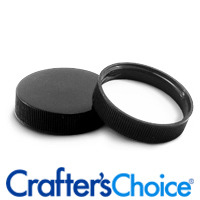 "2 ounce Black Double Wall Plastic Jar - 58/400"
COMMENTS: This is a terrific product for small amounts of product. I've used it for both masks and facial scrubs. Perfect size. COMMENTS: My friends and family love the black jars the best (as do I!). They love how professional they look and that they feel very sturdy. 2oz is the perfect size for whipped sugar scrubs to be tested out. A friend who used the scrub on her whole body got 3 uses out of it. I only use it on my arms so I got about one week out of it. Plus, that means I get to try a new scent even sooner! COMMENTS: I just love the sleekness of the Jar! It is great for my products and appealing to my male customers! I just had to purchase this again! "Just love the black packaging!" COMMENTS: The dark glossy color makes colorful labels just pop! Very sleek and elegant, will be ordering more! "This and the 4oz - just great!" COMMENTS: This and the 4 oz - very professional, sturdy, air tight seal. Great for sample body butters and scrubs. Great for an average size cream and a wonderful set with the 4oz. I did get the smooth black cap, which I love. I will DEFINITELY ORDER MORE. As I said with the 4oz review - you just need a 15ml to go with the set... please bring this size in the same black. Please never lose this black line. 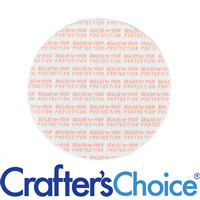 COMMENTS: Durable double walled, safe,Keeps the light out and is best choice for lotions and masks. • It is double wall safe material. COMMENTS: Second order for this size as I was very pleased with the previous order. Good weight and holds product well. COMMENTS: I use these for our herbal salves and they are wonderful. Customers like the overall look of our line and it's all thanks to WSP!!! "Love these jars! Very professional!" COMMENTS: Love these jars! Brought that look of high professionalism to my products. Loved the black color especially. Will continue to buy these again and again! "How do you think these would hold up to a balm containing essential oils? I understand EOs have a tendency to eat cheaper plastic. I was considering these jars as they appear well made and the double wall keeps out light. Wasn’t sure if the “EOs eat through plastic” means straight or if these would work when a small % of the recipe contains EOs." Staff Answer These jars should be fine for your product. As long as your EO's are within normal guidelines you should be fine. You should always, though, test your product and packaging for compatibility. "What is the benefit of a double wall plastic jar?" Staff Answer A double wall jar is more sturdy than a single wall. The ones we currently carry are either white or black which helps keep light from affecting product color. Either way, both jars work well and it is your preference as to what type of packaging you choose for your products. "What would be the best dimensions for the labels for this jar?" Staff Answer Labels are a personal preference. 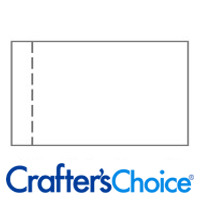 We recommend purchasing the item prior to getting labels. As the overview states, the jar height is 1 7/8" and the jar diameter is 2.25".